After the success of an evil Glitter site auction, another novelty website sale caught my attention on flippa today . 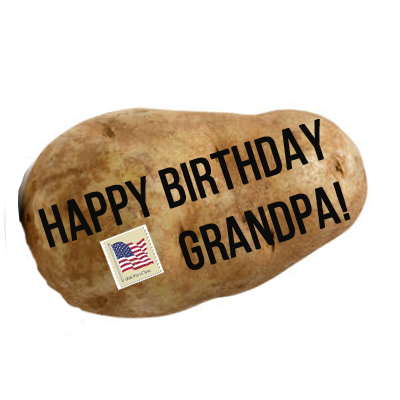 PotatoParcel.com is a website that allows you to send a message to friends or foes via a .. potato for $9.99. The site received a lot of media attention and was featured in many news outlets which spurred its fast growth. It also had over $40K in sales. The flippa auction is ending in a couple days and currently sits at $18k. The seller did a pretty good job on auction description and collecting data and revenue figures. Also this is quite hilarious, so I think the auction will do well. Is this going to be a good investment for the buyer? Long term probably not, as I can’t imagine this as anything more than a fad, until the novelty wears off and many copy cats appear offering the same service cheaper. But if the buyer can capitalize on the early success and the publicity this could become rather profitable. Either way props to flippa for featuring interesting auctions that will gather more attention from the general public and hopefully get more people acquainted with website investment opportunities and the market we are in!